The MS SQL developer is responsible for the development of MS SQL code and processes that ensure the completeness and quality of the necessary data sources in support of analytics and field sales reporting. Design and implement back end reporting data mart structure in support of sales reporting processes. Understand, build and modify complex SQL stored procedures. b) Understand problem statements from business users. c) Debug the existing code and apply code fixes considering all the scenarios. d) Identify and resolve issues related to daily scheduled jobs. e) Make recommendations and apply best design principles to the application. g) Document the existing data model and essentially prepare a technical specification document for the system that can be understood by business users. 7+ years of related experience with data management and business intelligence platforms, analysis and business planning. Experience with relational database concepts, SQL, SQL stored procedures, SQL Server Management Studio, Excel, Access, Python. Strong analytical, problem solving, and com The candidate should have a very strong experience in coding, development and in processes that ensure the completeness and quality of the necessary data sources in support of analytics and field sales reporting. He/she has to be very strong in the following areas: a) 6 + years of related experience in Business intelligence and analysis b) Strong understanding of BI star-schema methodologies c) SQL coding and decoding, stored procedures d) Strong analytical, and problem solving skills e) Data modeling f) Ability to understand business requirements g) Very good communication skills h) Very good documentation practice i) Willingness to learn new technologies Max Pay Rate $60 munication skills required. Jen has been working for NESC Staffing since 2015 as the Regional Manager. She came to NESC Staffing with 16 years of past experience in recruiting and management, including managing multiple locations. The main industries that she works on are Industrial, Medical, IT, and Engineering. 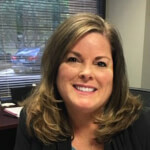 In her spare time, Jen enjoys spending time with her kids who are both away at college, entertaining, decorating, exploring and shopping in small towns and watching football (Dallas Cowboys and Texas Tech).